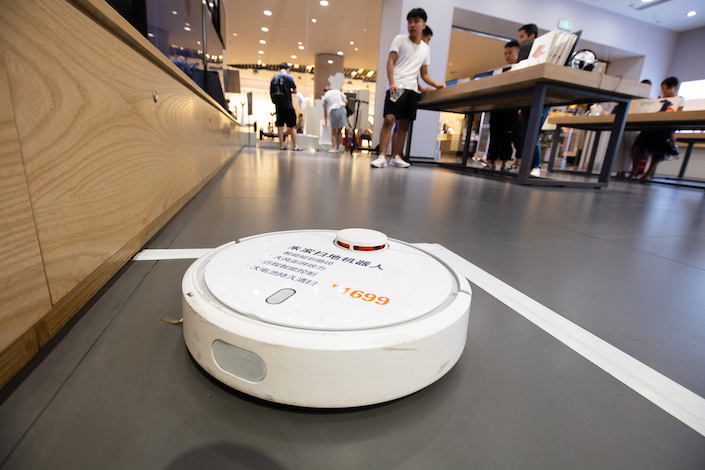 Beijing Roborock Technology Co. Ltd., a robot vacuum maker affiliated with Xiaomi Corp., has applied for an initial public offering on China’s new high-tech board, according to the Shanghai Stock Exchange, the host of the new board. Roborock plans to sell as much as 25% of its equity to raise 1.3 billion yuan ($193 million) to support new product development, according to the company’s prospectus. Citic Securities was hired as sponsor of the offering. Xiaomi executives including founder Lei Jun together hold more than 24% of Stone Technology. Business with Xiaomi accounted for more than 50% of Roborock’s 2018 sales, though down from 90% the previous year. Roborock is the third Xiaomi-affiliated smart-device maker that is expected to go public. Wearables maker Huami Corp. and appliance maker Viomi Technology Co. floated in the U.S. last year.